Spring time in Wisconsin means Friday night Fish Fries! I wanted to make a fish fry at home, but didn’t want my house to fill with that smokey smell. 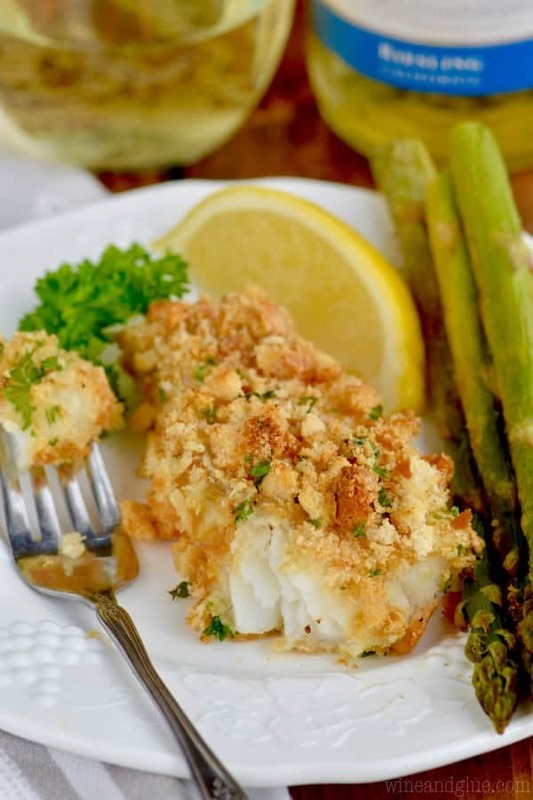 This Oven Fried Fish Recipe gives you that delicious fish fry taste without the grease. 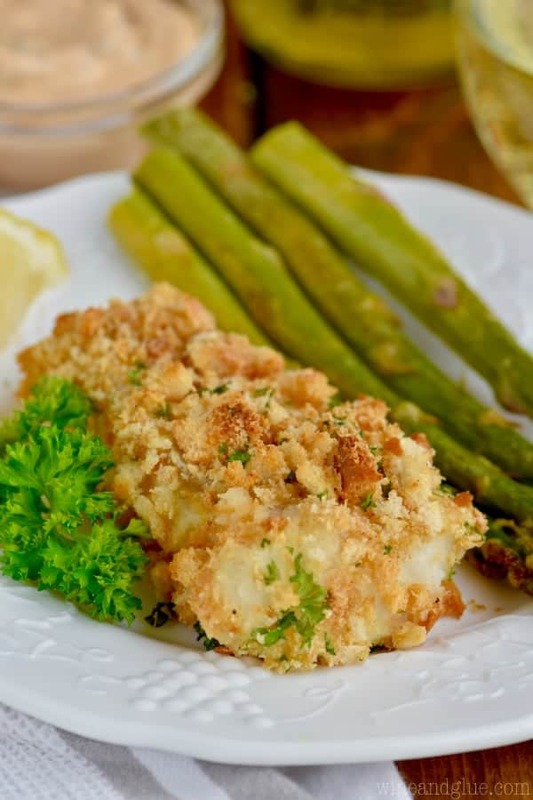 Served up with a spicy chipotle horseradish sauce and amazing oven roasted asparagus, this baked fish is fancy enough to go on your Easter table. 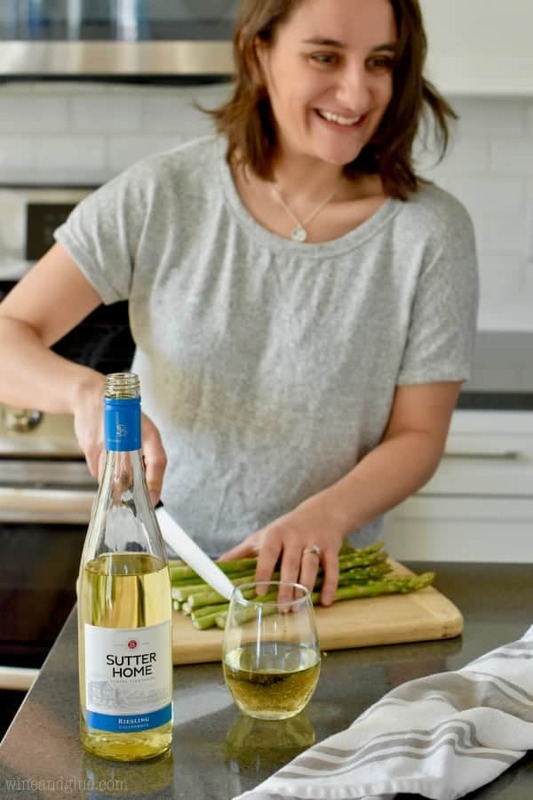 I am thrilled to be working with Sutter Home to bring you this delicious baked fish recipe that pairs perfectly with their crisp sweet Riesling. Pairing Sutter Home’s Riesling with this spicy chipotle sauce and delicious oven fried fish makes for the perfect #SweetOnSpice combination. Wisconsin restaurants and super clubs are known for their amazing fish fries. In fact, in the Milwaukee area you can find lists online comparing different fish fries and where to find the best ones. This time of year, one of two things happens to me. I completely forget about fish fry season and Easter morning as my kids are frantically searching for eggs I remember the sun has set on my fish fry dreams. I remember to go and get fish fry and while totally delicious, I come home feeling bloated and greasy. Not awesome. So this year, I’m making you (and me!) 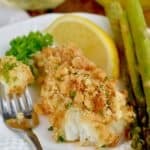 an Oven Fried Fish recipe that will fulfill all your fish fry desires, but is also totally perfect for a holiday meal. 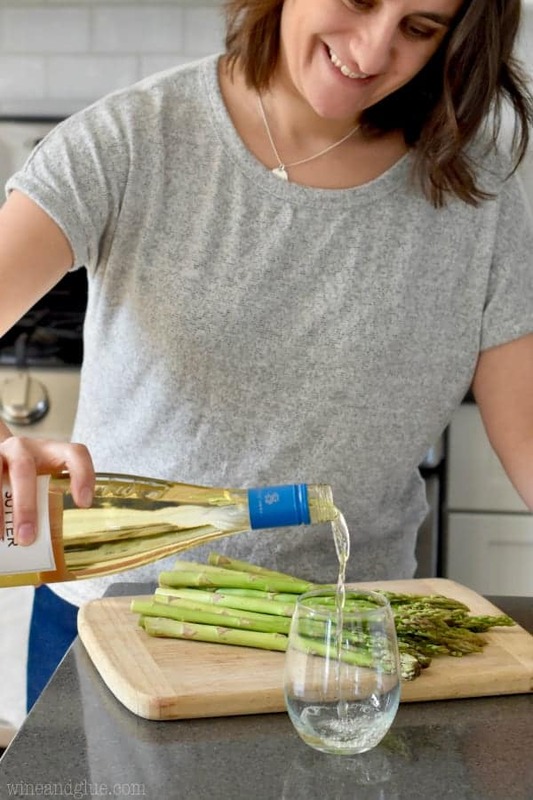 Put it on your Easter table with some oven roasted asparagus, and a bottle of Sutter Home’s Riesling and be prepared for all the oooh’s and ahhh’s from your Easter guests. I am in love with this Riesling. It is sweet, but not in an over powering way. It is crisp, and totally delicious. I’ve always loved the sweetness of Riesling, and Sutter Home’s is my go to. 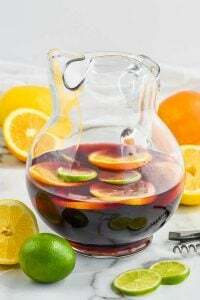 Perfect for sipping on the patio on a hot day, or just while you are doing dinner prep – one of my favorite times to enjoy a great glass of wine. 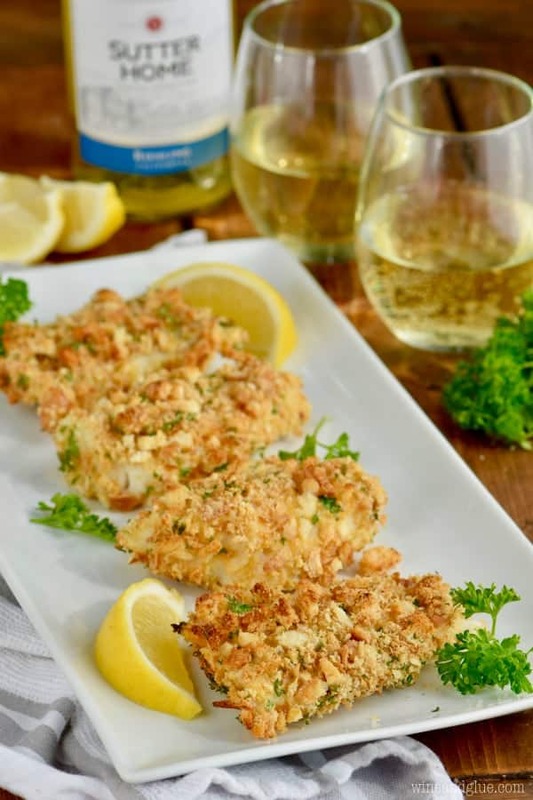 Sutter Home’s Riesling is a lush white wine with fruity notes that is the perfect compliment to so many meals, but especially this baked fish paired with a chipotle horseradish sauce. The sweetness of the Riesling balances the spicy sauce in just the right way. 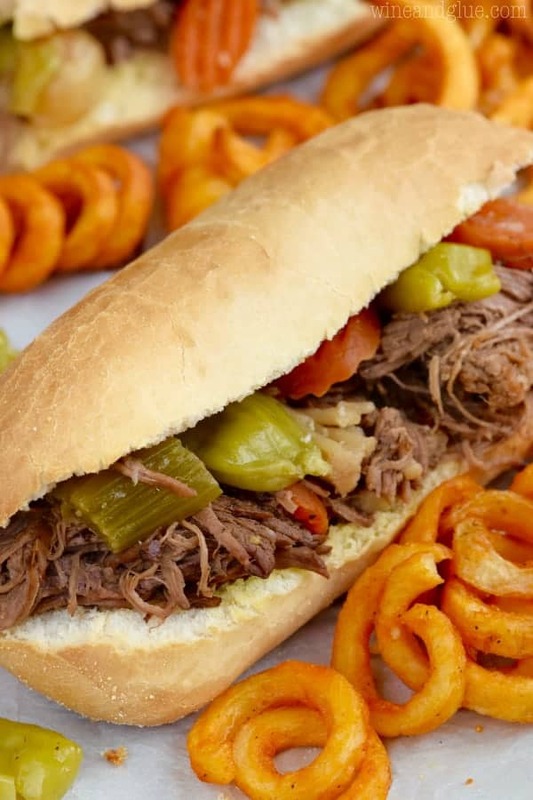 This recipe uses a homemade breading that allows you to play with the flavors a ton! You coat the bread with some melted butter before toasting in, leaving you with a coating for your fish that emulates a fish fry without the actual frying. 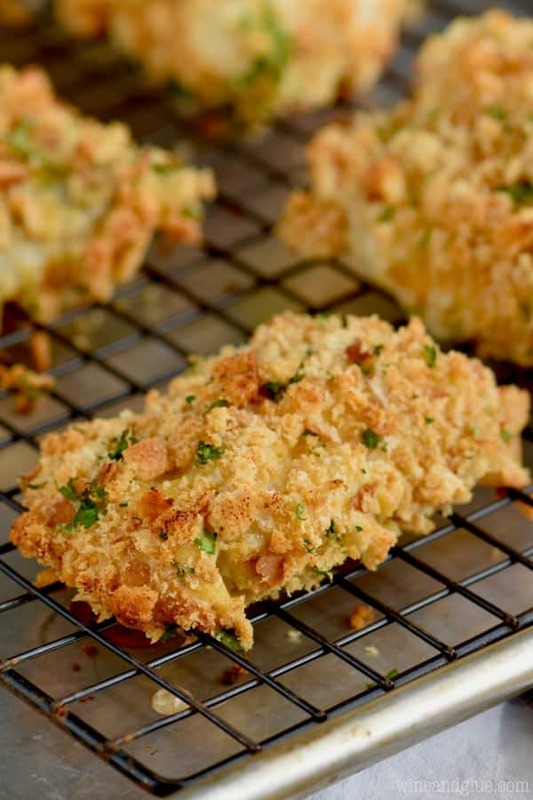 Combine torn up pieces of hearty white bread with melted butter in a food processor to make your own breading. 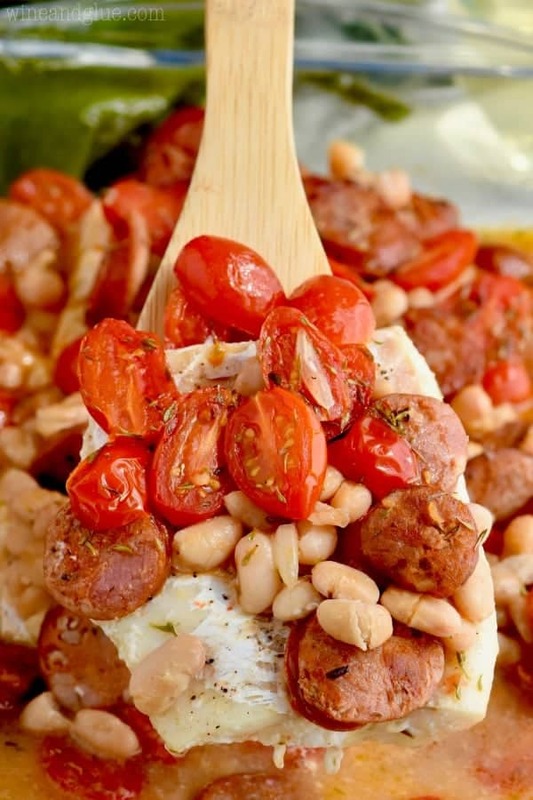 Toss it in the oven for about 15 minutes. While the breading is cooking, prepare your breading stations. Fill one pie plate with a little flour, fill one pie plate your egg mixture, and leave one pie plate for your breading mix. 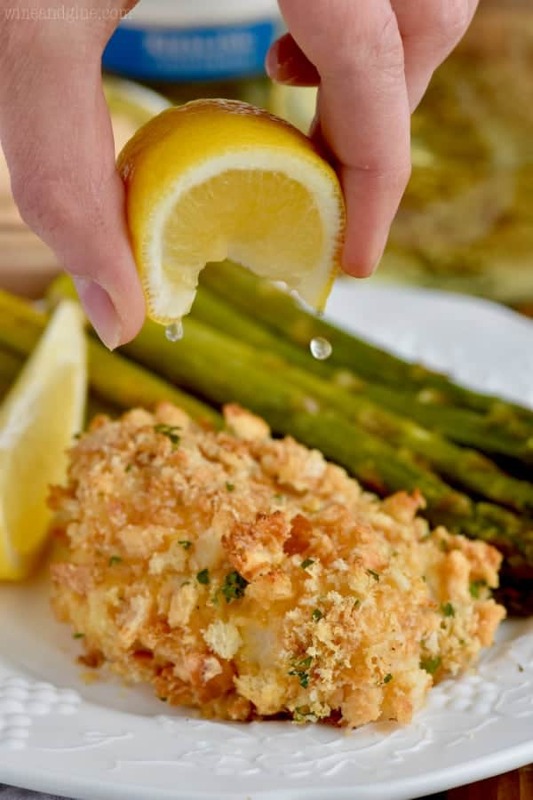 After the breading mix has cooked, throw your asparagus in the oven while you are preparing your fish! Dip your fish in the flour, then the egg mixture, then the breading mix. While your fish is cooking, whisk up your chipotle horseradish sauce. The smokey heat of the chipotle peppers with the tang of the horseradish sauce is amazing. I’m totally obsessed with this sauce. And there you have it! The perfect meal of roasted asparagus, oven fried fish with chipotle horseradish sauce and fresh lemons for squeezing. 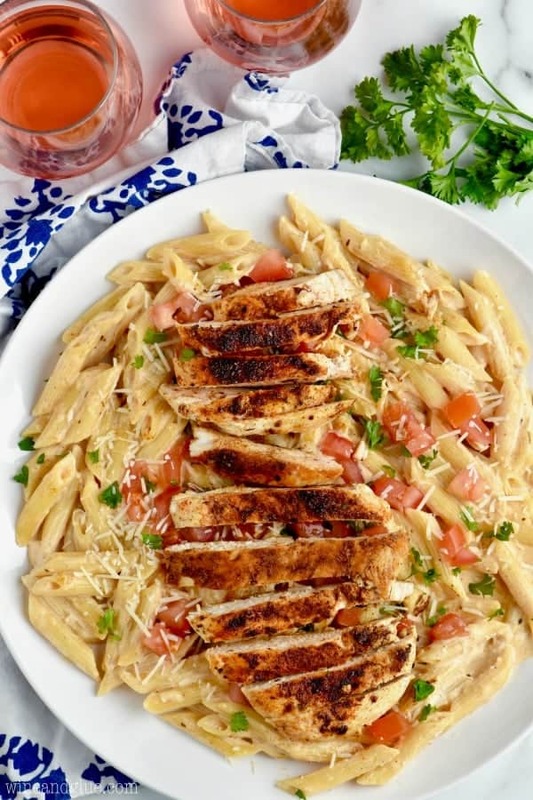 Served with some delicious Riesling, this meal is perfect for a weeknight dinner but is fancy enough to be on your holiday table. For more amazing #SweetonSpice combinations, make sure to follow Sutter Home Wines on Facebook, Pinterest, Twitter, and Instagram! 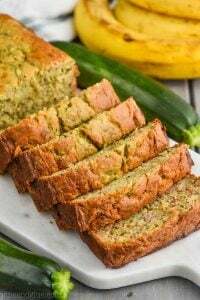 You can make the breading mix up to three days ahead, saving you time if you are entertaining with this recipe. Buy your fish from the fish counter at the super market. Often it is the same price as the frozen fish, and it saves you from having to deal with thawing at home. Try to have your pieces of fish roughly the same size. This will allow them to cook at the same temperature. You are looking for them to be about 1 inch thick to prevent over cooking. Work with two pieces of fish at a time or more. It will save you trips to the sink to wash the breading mixture off your hands. Make sure you bake this on a greased wire rack. It allows the air to circulate and crisp all sides of your fish. 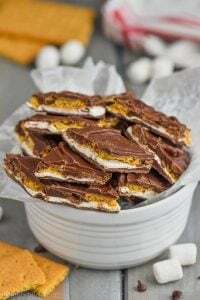 Play with the recipe! Not into parsley? Leave it out of the breading mix. Want a little extra kick? Throw a tablespoon of horseradish sauce in with your eggs. 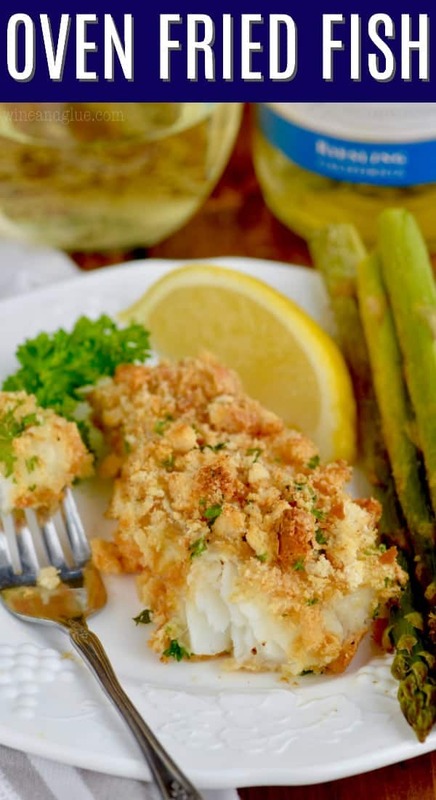 This Oven Fried Fish Recipe is the perfect lightened up version of a fish fry! 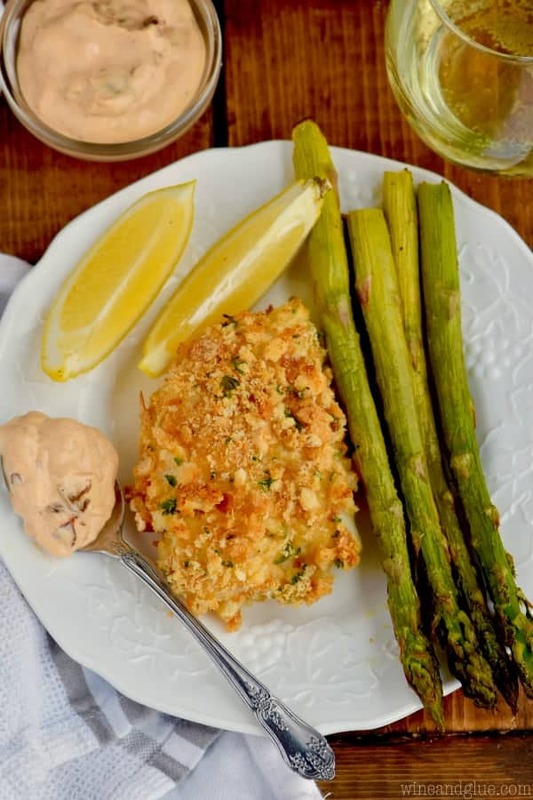 Baked fish that has been breaded and paired with a delicious, spicy Chipotle Horseradish Sauce! Preheat your oven 350 degrees. Line a baking sheet with parchment paper and set aside. Prepare a second baking sheet for the fish by spraying a wire rack with cooking spray and setting it on top of a baking sheet. Set aside. In a food processor, combine the torn up bread and melted butter. Pulse until you have small pieces and the bread is coarsely ground. Place bread crumbs on the prepared baking she and bake for 15 to 18 minutes or until the crumbs are golden brown, rotating during baking if needed. While the bread crumbs are baking, place 1/4 cup of flour in a pie plate. 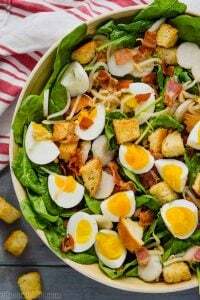 In a second pie plate whisk together the eggs, mayonnaise, paprika, onion powder, and flour. When the bread crumbs are done baking, toss them with fresh parsley and place them in the third pie plate. Bake at 425 for 18 to 25 minutes or until the fish reaches an internal temperature of 140 degrees. Whisk together the mayonnaise, sour cream, chopped chipotle peppers, and adobo sauce. 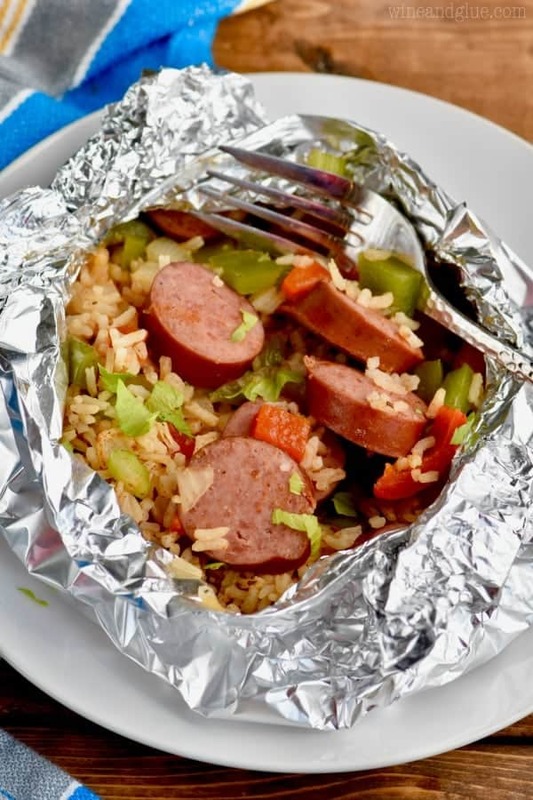 This sauce can be prepared the day before and stored in an airtight container in the refrigerator. Please note that the nutritional information does not include the sauce. Right?? I love that my house is smoke free after. I’d be willing to try this fish fry recipe in an air fryer. I fry breaded shrimp, spam slices, veggies, you name it in mine. I don’t have the pre-sets for each different food either. Just a basic Air fryer. Timer and Temp. Love mine. My kids gave it to me for Chmas. Pesto is such a great summer ingredient!